5:48pm – The Tornado Watch for El Paso county, including #UCCS, has been cancelled. This entry was posted in Uncategorized on August 17, 2015 by tstoeckl. The Tornado Warning to our north was allowed to expire, now a Severe Thunderstorm Warning has been issued until 4:45pm. Stay weather aware tuned into local media for the latest warning information. 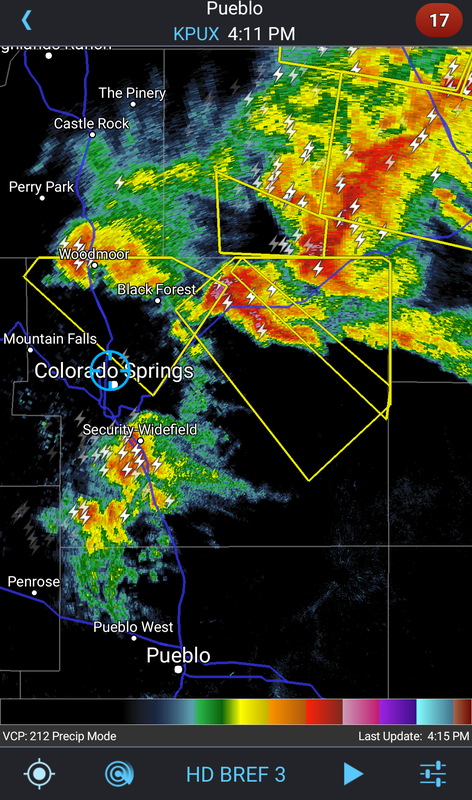 Tornado Warning issued until 4:15p for north central El Paso County and parts of Colorado Springs. Be prepared to seek shelter if needed, we are monitoring and will send an alert if there is imminent threat to campus. 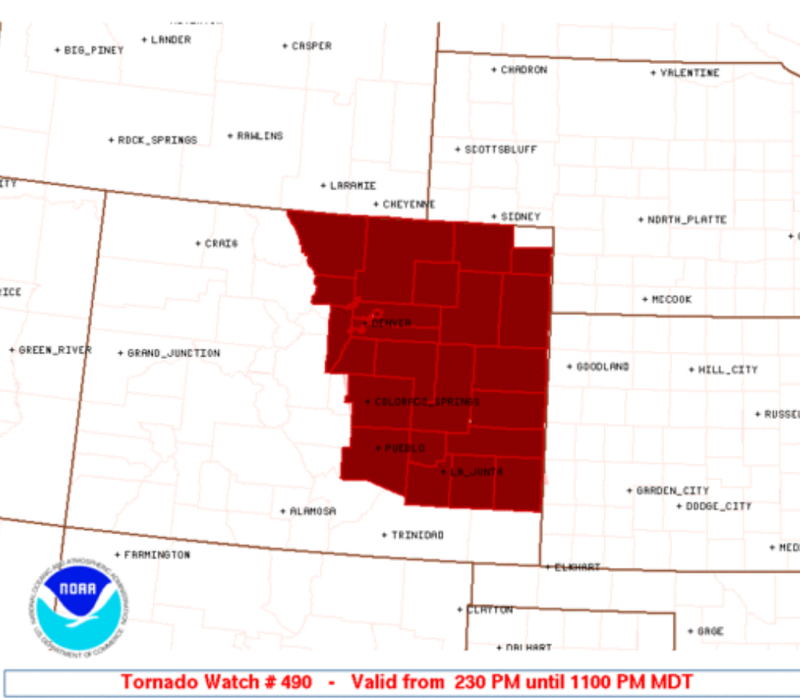 A Tornado Watch has been issued until 11:00pm MDT, include Colorado Springs and our UCCS campus. In addition to an isolated tornado, large hail and damaging winds are possible. Stay tuned to local media, stay weather aware, and ensure you have a way to receive alerts. 2:10pm UPDATE: The Flash Flood Warning has been canceled. Thunderstorms are forecast to redevelop later today or tonight, stay tuned to local media and weather outlets for the latest forecast and warning information. 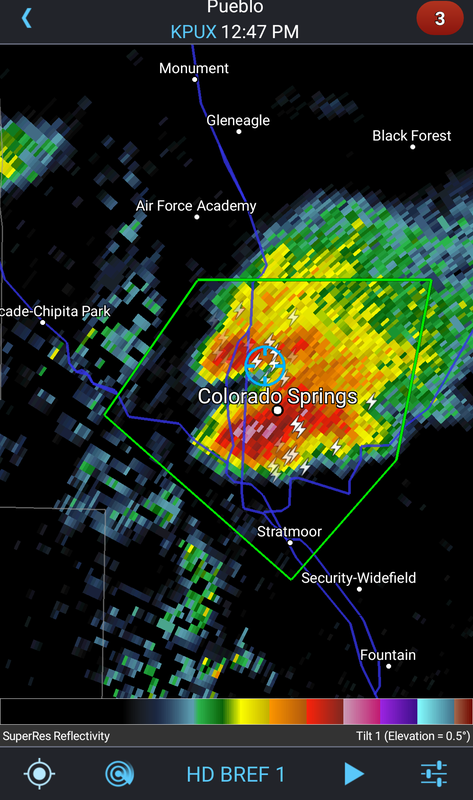 12:50pm – Flash Flood Warning issued until 2:45pm, includes #UCCS. Avoid low-lying areas and water-covered roadways. Stay tuned to local media for the latest information, and visit www.weather.gov/pub for the latest forecast and warnings. This entry was posted in Uncategorized on August 10, 2015 by tstoeckl.